When Candy Platz, DVM, learned that Riding To The Top’s (RTT) beloved mini, Poki, had died earlier this year she dedicated her run in the 2017 Beach to Beacon 10k to him. Motivated to help RTT find a miniature to take his place, Candy set a goal of raising $10,000 to help with the purchase of two new miniature horses for RTT. 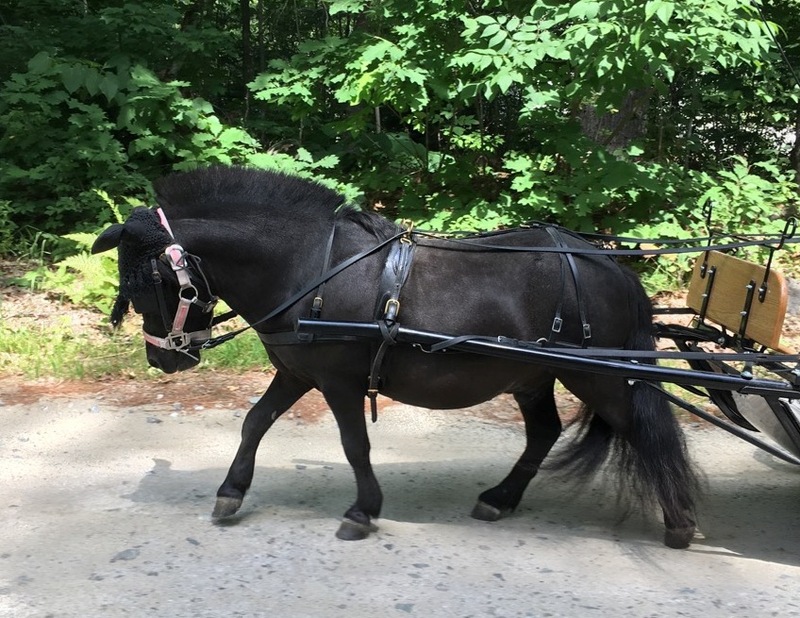 As a result of her efforts (along with a number of other equally passionate RTT supporters), Oynx, a wonderful ten year old miniature horse now calls Riding To The Top home. 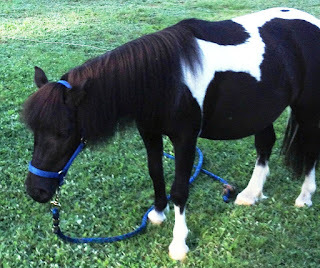 And soon Cookie, another miniature horse, will be joining him at the farm. Platz was thrilled with the response to her fundraising appeal and notes that donations are still needed as “both will need equipment, support and training to become sturdy, reliable and valuable members of our therapeutic program”. Platz, who turned 65 this year, has run ten Beach to Beacon races on behalf of RTT - raising over $65,000 for the center! “All of us at RTT are amazed and awed by Candy’s annual Beach to Beacon run for RTT and her fundraising accomplishments. Because of her, children and adults with a wide array of physical and emotional challenges continue to benefit from our services” said Executive Director Sarah Bronson. Founded in 1993, the mission of Riding To The Top Therapeutic Riding Center (RTT) is to enhance health and wellness through equine assisted activities and therapies. Located on a 50 acre farm in Windham, Maine, RTT is a PATH, Intl. Premier Accredited Center (Professional Association of Therapeutic Horsemanship International). 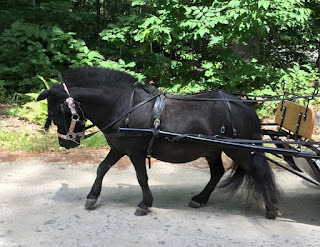 RTT is Maine’s only PATH Accredited Center providing year round equine assisted activities and therapies to children and adults with disabilities. Over 250 clients visit annually from over 45 communities in Maine and NH. Certified instructors, specially trained horses and over 160 volunteers assist up to 100 clients each week. Riding To The Top is a community-based nonprofit, receives no federal or state funding and provides scholarships to over 60% of its clients. For more information about client services, volunteering, or making a gift, please visit www.ridingtothetop.org or call 892-2813.